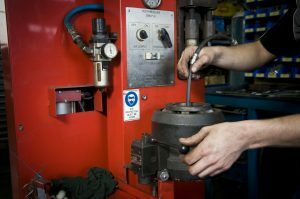 We manufacture our brake hoses in-house using only the best quality components. 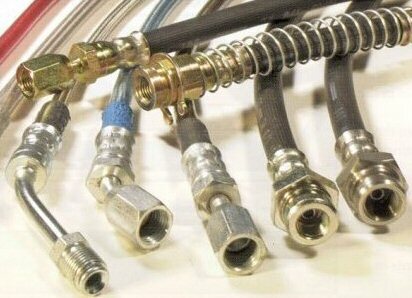 Huge savings can be made with our hoses rather than spend your hard earned money on inflated genuine prices. We can make custom hoses to suit your application. A full range of speciality Hoses are also available, including Extended Hoses for 4×4 with lift kit, Stainless steel braided hoses and Armoured Hoses for industrial applications. Power Steering high pressure hose can also be made as well as stainless braided, fuel lines, Oul cooker lines and turbo lines. All of our hoses comply with Australian design rule (ADR)7 and come with a 12mth / 20,000 Klm Warranty. We can manufacture one off cables or repair any cable as per sample from accelerator, clutch cables, seat adjusting cables, hand brake cables. From the lawn mower to the race car.